The Egyptian cabinet's spokesperson Hossam El-Qweish said on Wednesday that Egypt is to re-apply daylight saving time starting this month, Al-Ahram's Arabic news website reported. 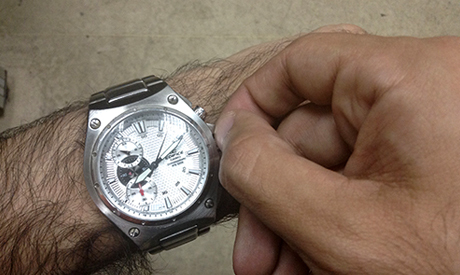 Starting 15 May, Egypt will switch to summer time by adjusting the clock one hour forward. The change will be lifted during Ramadan, however. Daylight saving time was first adopted in Egypt in 1988 as a way to reduce electricity consumption. The electricity and energy ministry later submitted a study to the cabinet revealing that implementing daylight saving time had no impact in this regard. In Egypt, the standard time is GMT (UTC) + 2 and so GMT + 3 during daylight savings time.